Since we’ve published this article, we have received some input on the best deck cleaner for mold on decks. 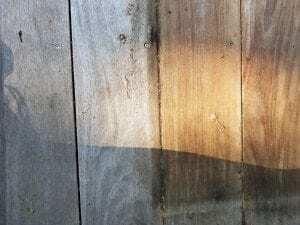 Here at DeckStainHelp.com, we take pride in the fact that we have become the Internet’s go-to source for all things exterior wood and deck restoration related. 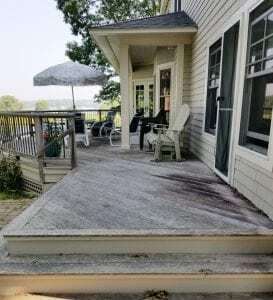 Like before, we appreciate your input, so feel free to leave a comment below and pictures of your deck stain projects. 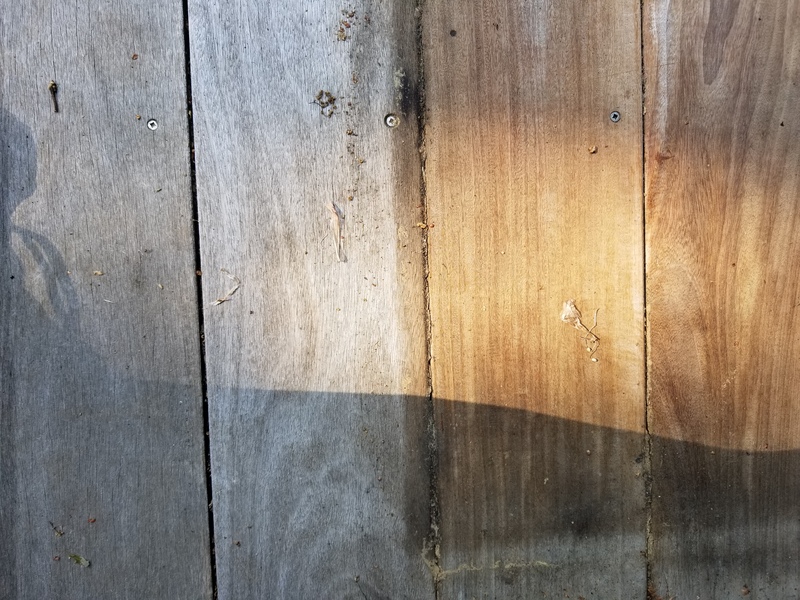 Wood decks are not naturally resistant to mold. When speaking of “mold” on decks, mold is a general term people commonly use to describe what might be moss, lichen, green algae, mildew, or other types of fungal growth. Mold is like the universal word to cover anything green or spore-like growing places it should not be growing like on your deck. Mold on decks can cause problems besides just being treacherous to walk on when wet. The issue with mold on decks can range from completely unsightly to decay, wood rot, and major structural damage. The good news is that mold can be removed from decks using common deck cleaning methods. The best way to rid mold on decks is to use the right cleaner. 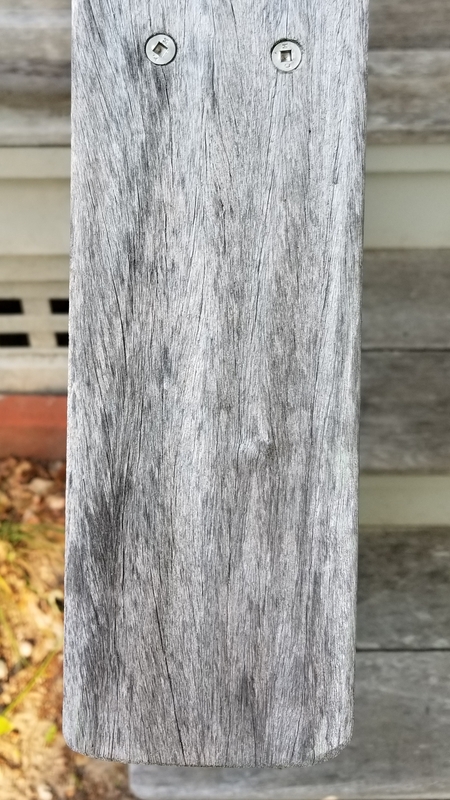 The best deck cleaner for mold on decks is not bleach. Bleach will kill mold but it can also break down the cellular structure of the wood fibers and dry out the natural oils. Avoid using bleach for wood cleaning at all costs. Bleach-based deck cleaners should also be avoided as they can damage the wood’s lignin. In addition, bleach is only an average cleaner of dirt and grime that also need to be cleaned from the deck prior to staining. The best deck cleaner for mold on decks is an oxygenated deck cleaner. These cleaners contain sodium percarbonate, which is an EPA registered active ingredient for removing mold and mildew. The oxygenated deck cleaners are concentrated powders that are mixed on site with water. They contain bonus surfactants that aid in boosting the total cleaning effectiveness. When used in combination with a pressure washer or deck brush, oxygenated cleaners are particularly successful at cleaning mold from decks. Choosing the best deck cleaner for mold on decks can be easy by doing an online search for oxygenated deck cleaners. Deck cleaners like Restore-A-Deck Wood Cleaner, EFC 38, Defy Wood Cleaner, and Messmers Wood and Deck Cleaner are just a few that are commonly used by professionals. To remove mold on decks is just a matter of using the right deck cleaner. You do not need to sand this. Use a deck cleaner and pressure washing to prep and brightener after. You will need a deck cleaner to remove any mildew and then try a clear sealer that will gray naturally over time. Defy Extreme Clear would alos help with any mildew prevention.